We must stop King Alexander from lowering standards at LSU! It took years of dedicated effort to raise LSU’s average ACT score for admitted freshmen from below 20 to 27. This is an incredible increase. The addition of the Honors College program solidified the progress of LSU to true Flagship University Status. For many years high performing students left for other state Flagship Universities never to return. Now students with the skills to build a bright future for Louisiana are remaining in state to contribute. In the 1990’s the Louisiana Board of Regents established a system that has been incredibly successful at creating true Flagship status for LSU. All other higher education institutions were placed into one tier of 10 regional schools or another tier of three statewide schools. Each tier has differing ACT score and GPA requirements. The two-year community colleges are open enrollment. 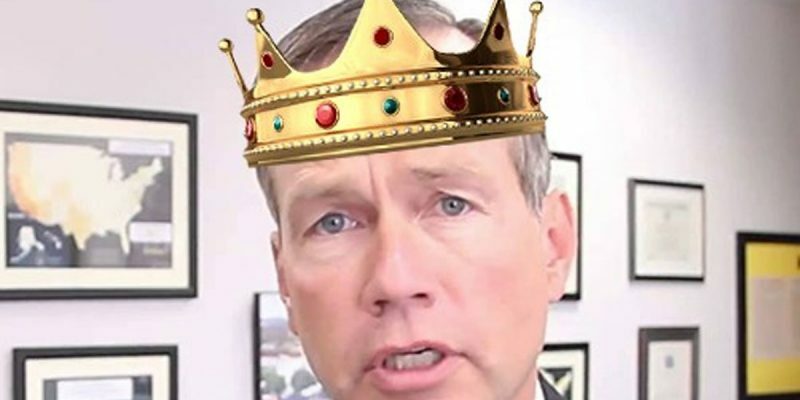 By removing objective standards at LSU, King Alexander opens the door for politics and money to influence admissions decisions. Donors and persons of influence can now bring inappropriate influence to the admissions process. Only the Louisiana Board of Regents is authorized in the Louisiana Constitution to change minimum standards. The standards they adopted in the 1990’s have produced excellent results. King Alexander’s spokesman Jason Droddy says Alexander can now use a loophole to end the minimum ACT requirement without Regents approval. Several, if not all Board of Regents and LSU Board of Supervisors members were not even consulted on the standards reduction. They only learned of the actions in a 9/2/18 article by Editor Mark Ballard of The Advocate Capitol News Bureau. President Alexander is acting like he really thinks he is a “King.” Let him know that LSU and all schools belong to the people. Put Louisiana First asks you to call LSU President King Alexander at 225-578-2111 and the Board of Regents at 225-342-4253 and tell them to stop the plan to lower LSU standards immediately. Follow us now at http://facebook.com/putlouisianafirst/ to get our next story about how King Alexander has hurt LSU and all Louisiana schools with his actions. So who is Put Louisiana First? Well, it’s a 501(c)4 organization the Louisiana Secretary of State’s office says made its initial filing on Aug. 23, and the registered agent for it is Baton Rouge businessman Richard Lipsey – who’s known as a Republican, but is also a long-time Jay Dardenne supporter who has been in John Bel Edwards’ camp since 2015. Put Louisiana First’s Facebook, Twitter and web postings show a mishmash of pro-John Bel Edwards and pro-Ronald Reagan content; it’s pretty clear whichever Democrat consultant got the contract to run this group has been instructed to paint a picture of Republicans happily in bed with the governor. And this is what makes the above howling interesting. If these guys are really in bed with the governor and they haven’t been made to shut up about Alexander by his staff over their opposition to Alexander’s move to ignore ACT scores for LSU admissions, that tells us Alexander no longer has Edwards’ political protection. Which is something we’ve been hearing rumors about for some time, though those have mostly involved a move on athletic director Joe Alleva’s job which was supposedly going to happen over the summer and didn’t. The story went that Alexander also had one foot out of the door and it wouldn’t be a surprise to see Alleva go and Alexander follow shortly after. But those Alleva rumors didn’t pan out, so we largely ignored the Alexander rumors which went with them. But this? Let’s just say it’s interesting. If Alexander really had Edwards’ protection, the governor’s people would come down like a load of bricks on “friendly” folks who brought out the long knives on the LSU president on a meaty subject like admissions policy. And it wouldn’t be a shock if Edwards had abandoned Alexander. After all, he served his purpose for Edwards by roaming the halls of the state capitol for the last three years haranguing legislators – who gave him the nickname “Chicken Little” for his constant predictions of doom for the university were taxes not raised to fully fund it – about the state’s higher education budget. Now that those taxes have been raised and the state, supposedly, has all the money it needs for LSU, Edwards’ primary agenda item is positioning himself for re-election, which means the unpopular Alexander is far more of a political liability than he is an asset and maybe it’s not a bad idea to crank up the pressure on him. If he were to leave for another job, or get fired, and Edwards were to make a good hire to replace him, it would be another opportunity to reel in support from the pro-LSU Republican (read: Jay Dardenne Fan Club) crowd in Baton Rouge of which Lipsey is unquestionably one. Admittedly, we’re doing some serious reading between the lines here. But this is a subject some of our LSU insiders have been swearing to us has been brewing under the surface for months, without any particular public results as yet. Could this be a hint of something to come? Only time will tell.